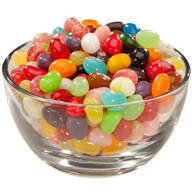 Gourmet Jelly Beans - 14 oz. 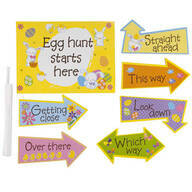 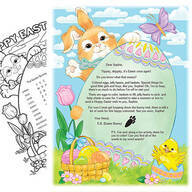 Easter egg and daisy wreath features pretty, painted Easter eggs, real grapevine and lifelike gerber daisies. 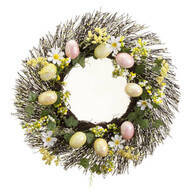 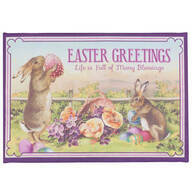 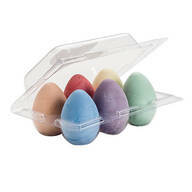 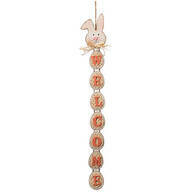 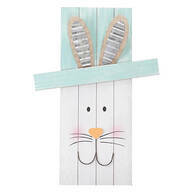 This Easter egg wreath will add springtime charm to your home’s entryway or any interior wall. 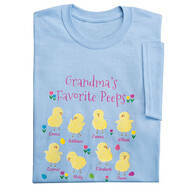 Polyester, plastic, iron. 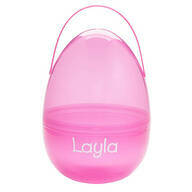 For indoor/protected outdoor use. 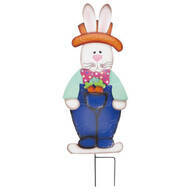 20" diameter.